Neural stem cells are known to aid in the repair of nerve tissue. 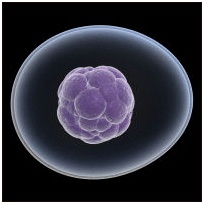 Stem cell treatments introduce stem cells to repair this damaged tissue. Typically, the baby’s umbilical cord with its blood cells is harvested and frozen, until its cells will be extracted and used. The aim of the treatment is to regenerate the dead and damaged neural cells by using stem cell transplantation. To do so, the stem cells are injected using IVs and lumbar punctures in order to better target the affected area in the spinal cord. The potential of stem cell therapy for spina bifida is extremely encouraging, and there are some who believe that in a few decades a cure will be found for babies born with this condition. This is why parents of babies diagnosed with spina bifida should consider storing the umbilical cord cells in a proper facility. Unfortunately, at present, the only medical centers offering stem cell therapy for spina bifida are outside the US, including centers in Mexico, China and Germany.